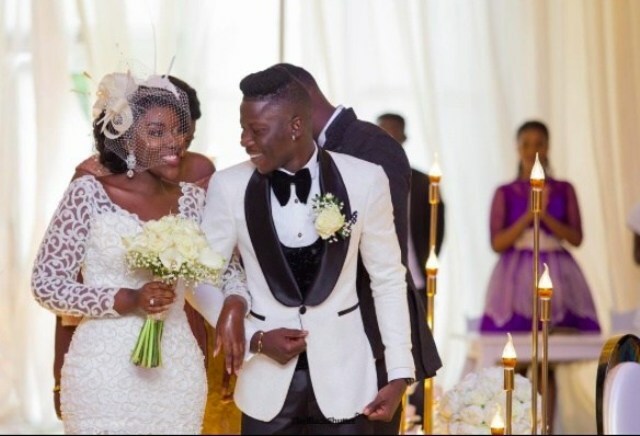 Ghanaian Afropop, dancehall and reggae artiste, Stonebwoy, has revealed how marriage has changed his life. Speaking in an interview with Graphic Showbiz, Stonebwoy, known in private life as Livingstone Etse Satekla said getting married has made him more responsible. Stonebwoy averred that he has stopped spending on unnecessary things—and also he doesn’t stay out late. According to him, his wife Dr Louisa Satekla is a wonderful woman and a loving person any man would like to have as a wife adding that he has no regrets marrying her. “I was so sure it was her. The first time I met her at the Kwame Nkrumah University of Science and Technology (KNUST), I just knew she was going to be my wife. "I quickly told my manager she was going to be my wife and there she is as my lovely wife,” he revealed. He also disclosed that whenever they have issues as partners, they solve it as mature people immediately. "I don’t believe in celebrities discussing their issues in public, it is best if they solve their issues privately,” Stonebwoy stated.